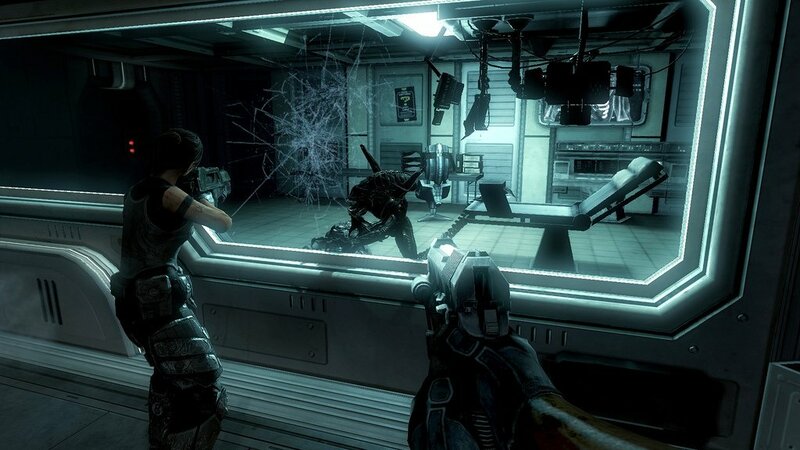 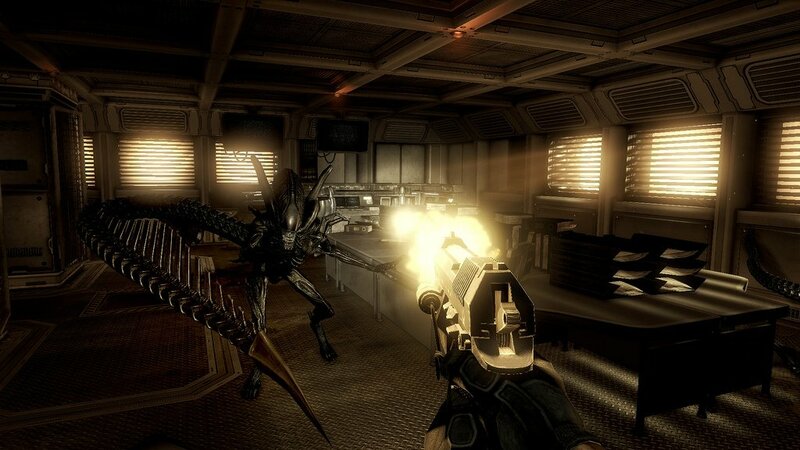 Ten new screenshots of Aliens vs. 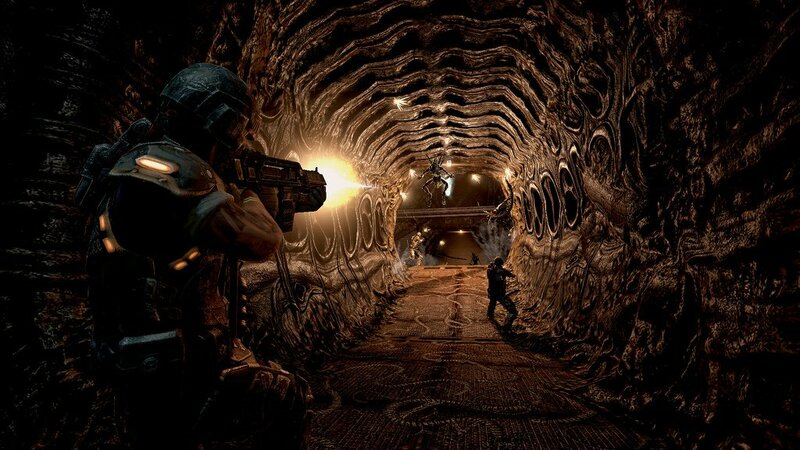 Predator were released today by Sega. 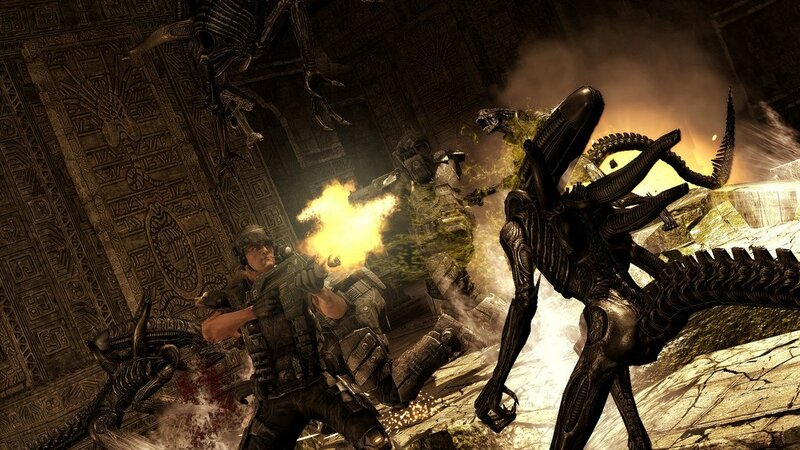 They've got a whole lot of steamy Alien-on-Marine and Predator-on-Alien action. 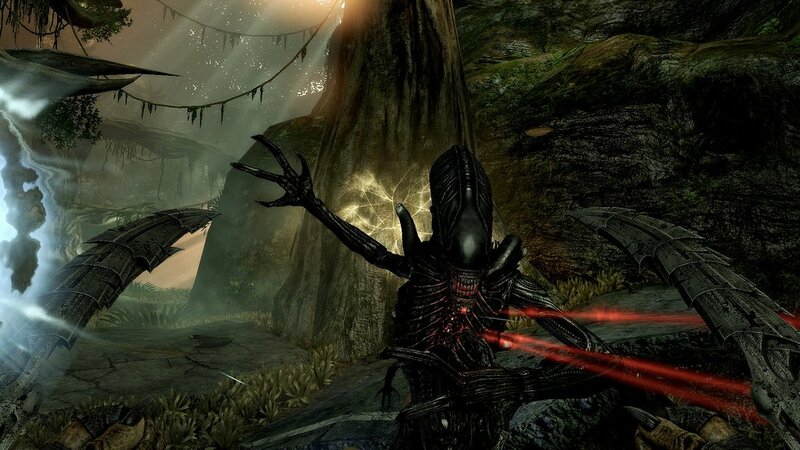 Though part of the game will take place in familiar locales like abandoned facilities or alien hives, you'll spend some time in the great outdoors, too. 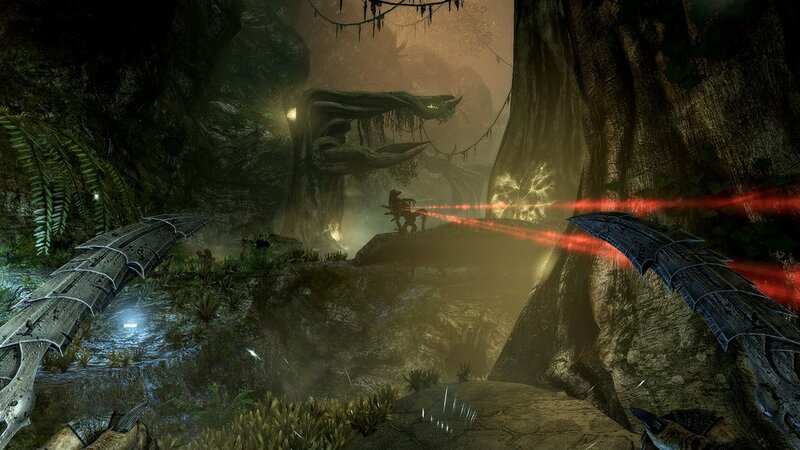 A few of the shots show Aliens, Predators, and Marines battling it out in a jungle. 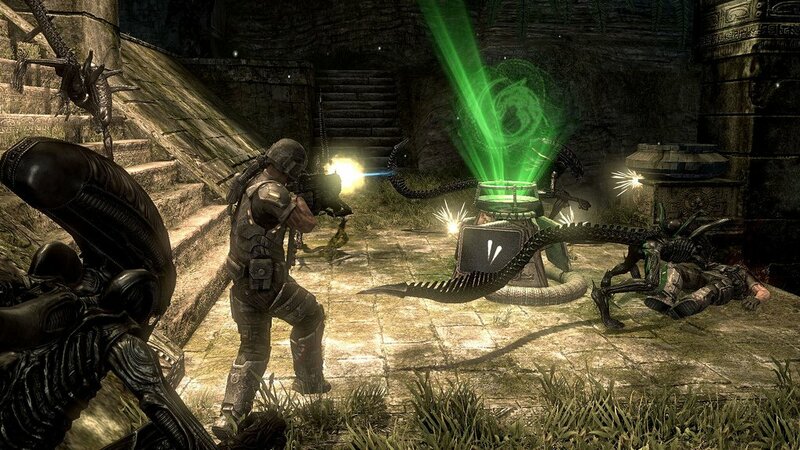 The story takes you to some sort of ruins, too. 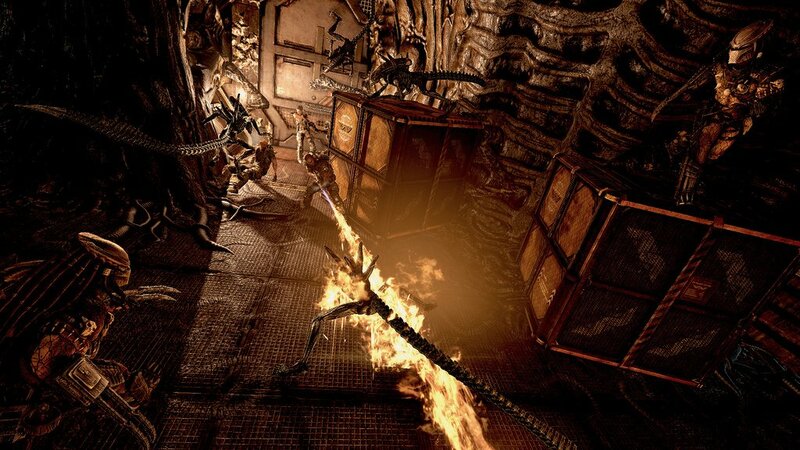 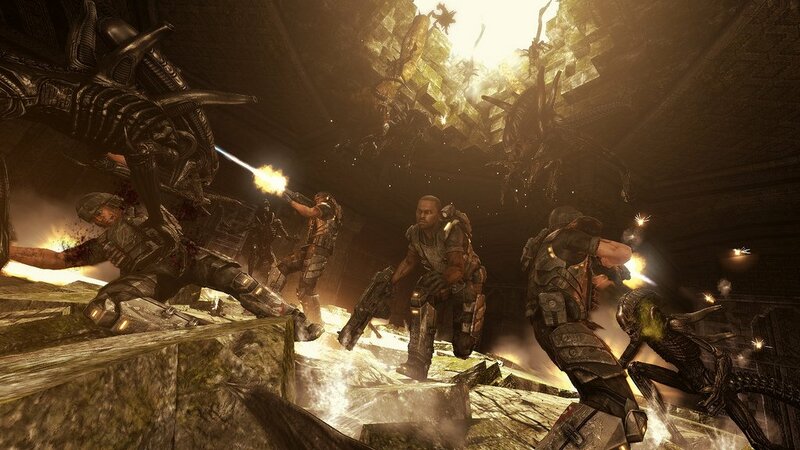 AvP arrives on February 16th in North America, February 19th in Europe.